All living organisms interact and interconnect with electromagnetic waves, and all of the earth’s inhabitants, have the memory of the original earth based DNA, which is resonant to the low frequency waves emitted by the Schumann Resonances into the earth’s atmosphere. The Schumann Resonances are a set of spectrum peaks in the extremely low frequency (ELF) portion of the Earth’s electromagnetic field, which is similar to say that these pulses are the heartbeat rhythms of the planet. For this reason, most people are extremely open to conduct these waves of Electromagnetic Signaling through their personal Bio-Neurology that is being stimulated by these ranges of extremely low frequencies, such as 7.83 Hz, what became known as the measurement of the fundamental range of these waves on the earth. This range of low frequency is commonly produced in the human brain, when relaxed in alpha or theta states. Extremely low frequency or Radio Waves that are artificially or naturally generated can phase with these same frequencies in the human body, having an array of impacts on human Electromagnetic and DNA Signals which further effect brain waves and the state of Consciousness. For the first time in recorded history, the Schumann Resonance has reached frequencies of 36+ and is heading for maximum spike levels approaching 50 Hz. This is a big deal and yet there is no publicly provided information on how this spike is impacting the earth’s geomagnetic field and how this radically effects the human body. Three years ago in 2014, when the Schumann Resonance frequency had risen to the 15-25 Hz levels from its usual 7.83 frequency, it was considered as a strange anomaly that was occurring to the earth. The earth’s frequency is speeding up and this greatly impacts all of the functions of the human brain, as well as impacting the heart beat and breathing rhythm. As the Schumann frequency is accelerating quickly through these consecutive magnetic spike events, this acceleration contributes to time and spatial disorientation, as many of us feel like time has sped up and events and changes in our life are happening much more quickly. The Core Magnetic Field is Shifting. This is changing the atmospheric layer of the planet’s magnetic field, as well as the magnetic tone resonance that emanates from the inner core of our planet. Science understands this core resonance tone as the Schumann Resonances. Both of these levels of the planet’s magnetic structure are tied to how the frequency code instruction set is relayed into every level of our holographic blueprint and collective consciousness. This instruction set is the base code of how our hologram is written similarly as to how a computer programmer writes html code to create an internet page or program. This means the core architecture of our planet, the core foundation of the principles of matter as it manifests is being altered and changed during this phase of evolution. Because of how the magnetic field works with our brain’s Neural Net, we will see that those human beings working with only the ego personality program, those that are stationed in their identity as a 3D being, those groups are going to have a more difficult time right now adapting in the changing spike in frequencies. 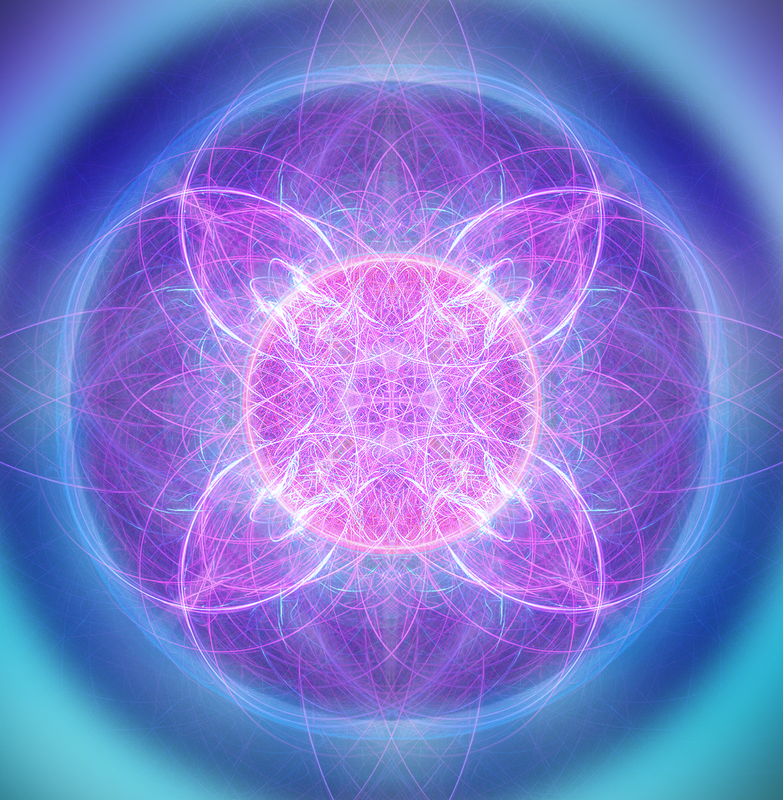 We are all getting prompted to move into higher intelligent forms if we so choose to co-create in these forces of transformation during the Ascension Cycle. The identity programs, such as collective archetypes used for Mind Control, are starting to be removed, short out, or change. These archetypes are being changed in the way they were being pulsed into the planetary magnetic field. This is going to create schisms and incongruence in terms of when someone is speaking to you purely from their personality program, or the Negative Ego. People stuck in the lower mind and pain body will lose coherence in linear thinking and generate more impulsive and erratic behaviors stemming from their uncleared unconscious mind as it merges with the larger system of the collective unconsciousness in the earth body. As these magnetic structures on planet are becoming more choppy, from the gaps created between the fission/fusion particle rate changing, this creates gaps in the ego/personality program function. The ego will have more difficulty articulating and communicating in linear concepts that appear rational and logical with common sense and coherence. What appears to be rational and logical behavior for a person will be adaptive to the perception of the desires of their personality program. The personality will lose coherency and break down. Therefore, this profile of person will have more radical issues pressuring them with the necessity to adapt to the changes required ahead. The lower the quality of overall energy, the more unstable and disconnected the personal and environmental experience on earth will become. The higher the quality of overall energy, the more stable and connected the personal and environmental experience on earth will become. The planetary collective energy field has many, many layers of intersection links which are building more access points into diagonal lines moving throughout interdimensional fields. These links make it possible to directly intersect into many different reality timelines, traveling in the past, present and future. This is called transdimensional time travel. The accumulative effect of gradually increasing frequency and changing instruction sets in many of the transdimensional time and space fields has reached a point of divergence. The culmination of reaching this point of divergence within trans-time and space is forcing the shift of the overall planetary energy field parameters. That pressure of force being applied in the planetary energy field is resulting in accumulative intensity and extreme polarity amplification. When the extreme polarity of combined forces that exist together within a collective energy field reaches its apex, a split occurs. This is called the point of divergence within the fixed point in the field, in the range of possibilities in which a Bifurcation of Time transpires. At the point of divergence moving forward in time, as the extreme poles of frequency are then split apart, they are further continually repelled from the strong force generated from the simultaneous amplification of each side of the existing polarities. This is a reversal of the current comprehension in 3D particle matter polarity structure, in which opposites attract and likes repel. The way to describe this is as a quantum event transpiring in the anti-particle energy fields where the polarity attraction at a certain frequency threshold reverses. The previous merging of opposing polarities of vibrational force is reduced as there is a bifurcation and thus curvature made within the space time continuum. This bifurcation means the fundamental lowest frequency will spiral into a continual descending pattern which greatly amplifies the increasing low frequency in density, increased energetic compaction. Conversely, the higher frequency threshold will break away from the extreme polarity of the lower base frequency and roll upwards into the next higher dimensional frequency octave, of increased energetic expansion and weightlessness. This is similar to expressing that the pressure of vibrational force exerted upon the higher frequency from the lowest frequency, that creates an average fundamental frequency while co-existing in a group energy field, will cease to exist in the same way as it has in the past. There is the urgent need for further research into the Schumann Resonance effect to help educate people on how the Sun and the magnetic field radically impact human bodies and human behavior. Although the Schumann Resonance could easily be confirmed by measurements at the time of its discovery, it is no longer so obvious due to our atmosphere being filled with manmade radiation noise and artificial signals at different frequencies. The artificial signals almost drown out the natural signals, signals that have been on the earth through aeons of evolution. These natural signals act like a natural tuning fork, not just for the biological oscillators of the brain and heart, but for all processes of life. With the advent of wireless technology, in particular microwaves pulsed at frequencies close to Schumann Resonances as in mobile telephony, another problem is emerging. Humans are creating an environment that is literally out of tune with nature itself. And it is at this point that there is an urgent need for us to understand how everything alive responds to the most subtle changes in magnetic and electromagnetic fields surrounding us. For instance, we need to examine the possible interaction between magnetite crystals within cells and the many manmade and artificial magnetic fields in the environment. There is a great need for independent research into the bio-compatibility between natural and artificial signals. By linking together the potential importance of Schumann Resonance and the dangers posed by manmade pulsed frequencies, it will become apparent that unless we find a way to use bio-compatible signals to power new technology, we may expose all life to dangers previously not encountered. We may have to pay a high price for this shortsightedness. Serious attention must now be paid to the possible biological role of standing waves in the atmosphere, so that we do not overlook the importance of oscillations in nature that may be central to consciousness and life itself. Source: The late Dr. Neil Cherry, a fierce opponent of the frequencies used in mobile telephony, has also focused on the importance of Schumann Resonance in his publications ‘Schumann Resonances, a plausible biophysical mechanism for the human health effects of Solar/Geomagnetic Activity’ (2002), and ‘Human intelligence: The brain, an electromagnetic system synchronized by the Schumann Resonance signal’ (2003). • Learn the 12D Shield, ES Core Triad practices and make the consistent dedication to clear fear and pain in one’s body. • Breathing exercises and relaxing the physical body as deeply as possible. Relax the mind, relax the body, allow the energy to move through you and visualize it moving in spirals up the spine and out of your crown. • Stay as present in the now moment as possible, work on the mind stillness with the steps of; Observe, Discern, Accept and Neutral to remain in Observer Point. Clear and refocus your mind away from fear and controlling the result. • Take care of what you eat and drink, eat smaller and simpler meals. The body has to work harder to digest, so pay attention and listen to what the body really wants to eat. • Stay hydrated and soak in water or take salt baths. Toning, meditating and singing in the bath, can help immensely. • Allow yourself quiet time, rest and stay away from people and circumstances that are emotionally theatrical, manipulating and controlling. Be sure to clear yourself of engaging in these tendencies. Seek to find more harmony, peace and balance in one’s life. • Research Ascension to be informed and speak and communicate with those people that understand and have experienced the same. Know that this is normal for humans to have spiritual awakenings, and many people are undergoing the exact same things that you are. • If your body feels constricted, engage in a physical activity or stretching to help the body be more open and relaxed. Be in Nature or walks with your pet, gentle movement or massage processes. Intend to stay grounded and to ground your internal spirit in your body. • If one has had serious abuse or trauma, therapy or counseling may be helpful, with the intention to safely release trauma in a confidential space, held by a qualified or trusted individual. Focus on releasing issues related to the trauma, with a therapist that is experienced and compassionate and understands spiritual orientation as a motivation and support for the process of healing. See Also Ascension Symptoms, Dark Night of the Soul.